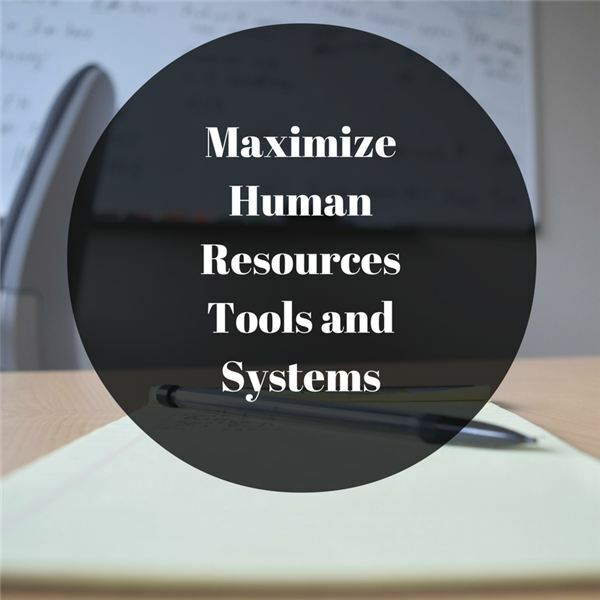 There are many tools and systems for managing various HR functions. Without being exhaustive, here are 10 major systems to consider. Payroll management system: Manage payment of compensation (pay and benefits) to employees, along with taxes and reporting. Benefits management system: Efficiently managing the various benefits that you offer employees, and provide tools for employees to choose from among those benefits efficiently. Employee information system: Manage the information on each employee, including private personal identifying information, information needed for continued employment and information about the employee’s background. Onboarding system: This is a system for getting new employees up to speed and integrated into your organization in a consistent manner. Training and ongoing employee development system: This includes a range of systems for addressing the ongoing development of employees. Succession planning system: The specialized system can be a valuable tool for ensuring that your organization is continuing developing, replenishing and renewing your talent pool to fill all key roles in the company. Bonus system: This specialized system enables managers to distribute their bonus pool money efficiently across employees. Compensation management system: Parallel to the bonus system, this specialized system enables managers to distribute their pool of compensation efficiently, fairly and with discipline across employees. Employee review system: This enables managers to review employees in a consistent and systematic manner. Candidate interview and evaluation system: The hiring process is complex and systems can help manage the process for maximum effectiveness. With so many systems out there to support the HR function, it is critical that you know where you are and where you are going. In the end, you are managing a portfolio of systems, and you will need to have a clear strategy of where you want to be and a good handle on how to get there. In what ways is your human resources department systematized, and what might be the optimal systems to get your human resources function where it needs to be? A series of four articles on Human Resources Project Management and reveals how projectizing all of your HR initiatives can accelerate your HR organization to world-class status.